Jason and Dean interviewed drivers and motor sports personalities every week on Speed Talk on 1360 radio a total of 60 different drivers. These interviews are broadcast live Saturday mornings 10-11am on KRWC 1360am radio and KRWC1360.com but they are also pod-casted on Soundcloud. Here is the listing of our TOP 10 most downloaded interviews of 2016. Thank you to everyone who listened to the show LIVE on the radio and those of you who listen to our interviews via pod-cast. 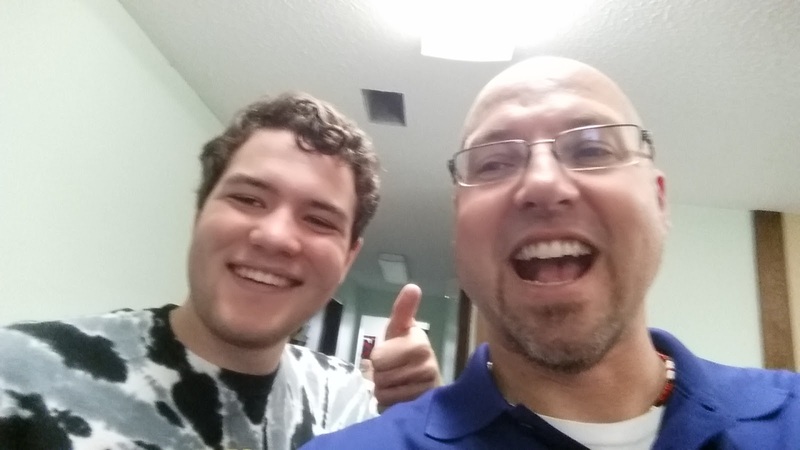 Click the links below and check out what you might have missed in 2015. Be sure and follow us on Soundcloud and you will never miss and interview and if you want to download and save an interview please do so now, we will be erasing many old interviews as we begin the 2016 racing season. When you see our interviews on Social Media please share then and promote racing in MN! 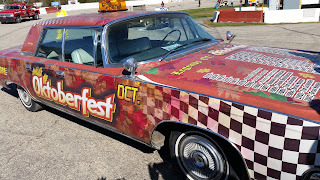 The first Elko Driver sign up was held on Saturday at Turtles bar in Shakopee (MN). The star of the show was clearly #55 Hornet driver Brandon Plekkenpol's one year old daughter (photo above). The 2016 schedule was released, the season begins a little later than last year. The season opener begins on Saturday night May 28th as one of the eight Eve of Destruction shows. 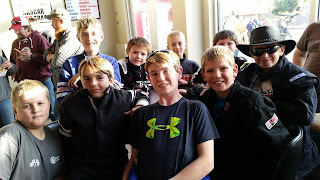 Thunderstruck93 will be on September 24th and the season will end on October 1st. The Super Late Models and Big 8 divisions will both have 4 OFF nights during the season, they alternate being OFF during Eve of Destruction events. Every time the Super Late Models and Big 8 cars race, they will be racing double features, so barring rain-outs they would get 26 races for NASCAR points (NASCAR only counts features). So, if the car counts are as good as last year, drivers would have an opportunity to race for a National point title. The points were changed slightly for 2016.... Last year it payed 10 points to win qualifying, down one point per position to 10th getting 1 point. In 2016 its 15 points to win down to 1 point for 15th in group qualifying. The Heat race winners still score 21 points, the point structure changes slightly after that, but very similar to last year. The Feature event winner gets 51 points, then it drops to 48 points for 2nd, then down by two points per position until 10th place, then down by one after that until 18th. Last year it was 51 for the winner and 49 for second and then down by one point per position. This puts more importance on doing well in the the Feature events. For example; in 2015 10th place earned 41 points.... now in 2016 10th place only earns 32 points. It also means a driver can make up points faster if the point leader has a bad night. NASCAR Division 4 National Champion and Elko Speedway Power Stock Champion Grant Brown will be travelling with his family to the NASCAR Home Tracks banquet in Charlotte NC next weekend, he said he has thought about his speech but has not practiced yet. 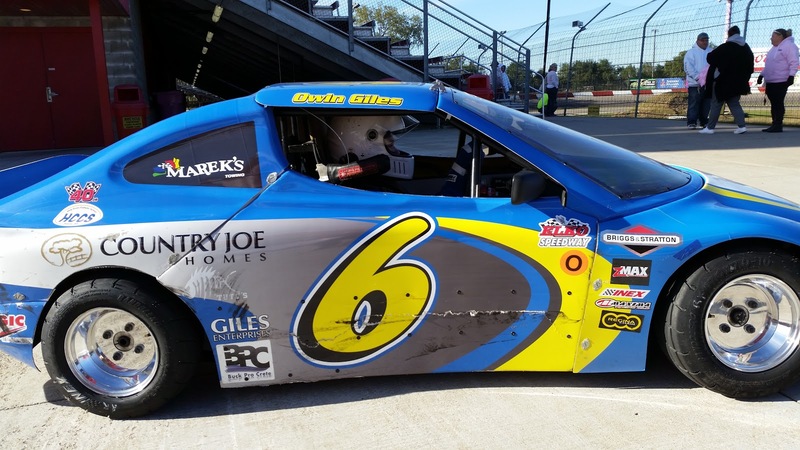 Don't be surprised to see Grant racing against his dad Doug Brown next year in a Big 8 car at Elko Speedway. 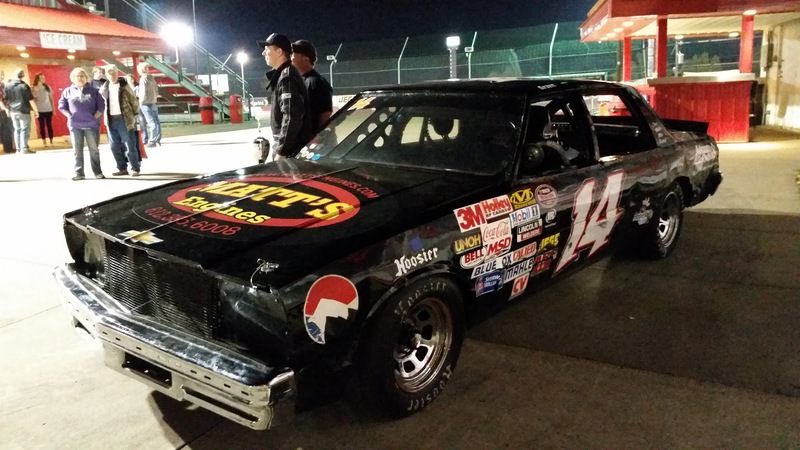 He will join other father/son duo's racing each other on the track including Jon and Derek Lemke in the SLM's and Bruce and Matt Allen and Tim and Jaycen Brockhouse in the Legends also look for a father/daughter pairing of Don Whitebear and Tina Davis in the Thundercars in 2016. 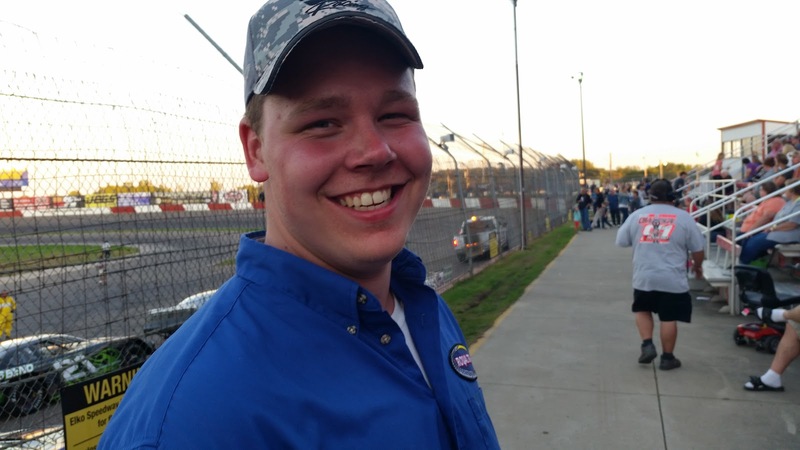 Hornets driver Brandon "positivity" Olson plans on continuing racing in the Hornets division in 2016 but also he has made the first payment to purchase the Power Stock driven by Grant Brown last year. 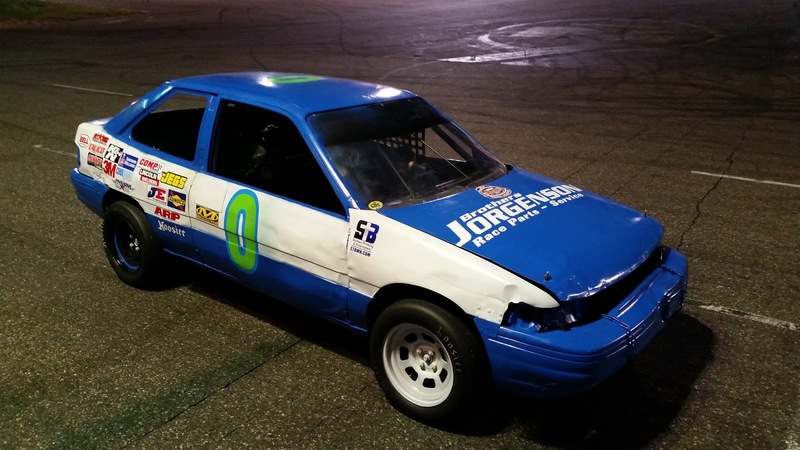 He will be a great addition to the already strong field of Power Stock cars at Elko. It was also really nice to see one of our great sponsors HIWAY Federal Credit Union in attendance, they are very supportive of Elko Speedway and love the loyalty that race fans have to sponsors. The next Driver Sign up event will be held at the Endzone bar in Elko on Saturday February 27th 1-3pm. 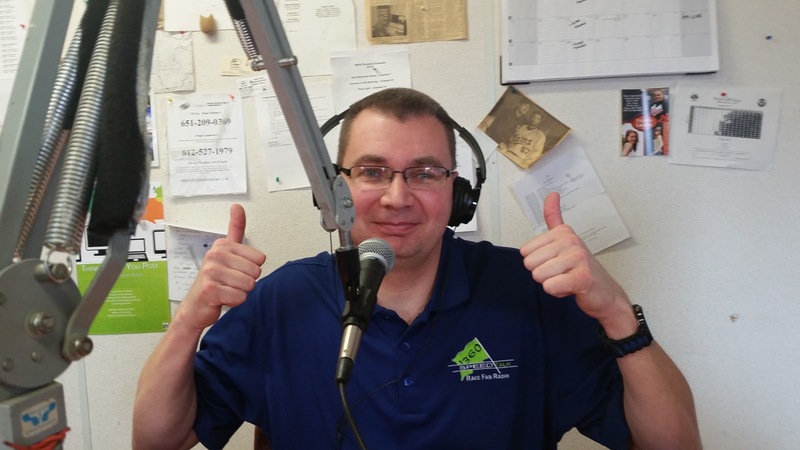 The 2015 Speed Talk on 1360 radio season was a huge success. We interviewed 60+ different drivers from all forms of racing. 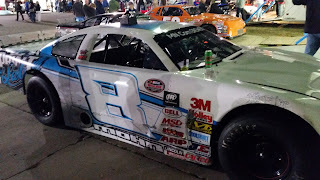 Jon Lemke, Doug Brown, Ryan Kamish, Brian Adams, Ted Hough, Michael Ostdiek, Eric Campbell, Jake Ryan, Joey Prusak, Matt Allen, Donny Reuvers, Matt Goede, Jacob Goede, Ty Majeski, Nick Murgic, Nick Barstad, Darrin Giles, Brent Kane, Conrad Jorgenson, Dusty Mann, Dan McCarthy, Alex Vincent, Ted Ruevers, Tom Doten, Paul Paine, Nick Oxborough, Derek Lemke, Brady Fox-Rhode, Grant Brown, Ashley Bell, Tina Davis. Dan Rick, Larry Zeller, Brandon Allen, Chris Wark, Ryan Bowers, Brooke Tatnal, Jeff Patchen, Alan Bohlman, Mitchell Hribar, Shawn Fletcher, Dannie Burkholder, Shane Sabraski, Lexi Kastner, Clint Hattelstad, Bud Martini, Chase Viebrock, Justin Henderson, Eric Martini, Michael Stien. If you like the show, please support these sponsors! We also did live shows at the Mud Spectacular at the Wright County Fair and the Gear Head Get Together in Maple Lake! Dean Reller ready to Talk Racing! 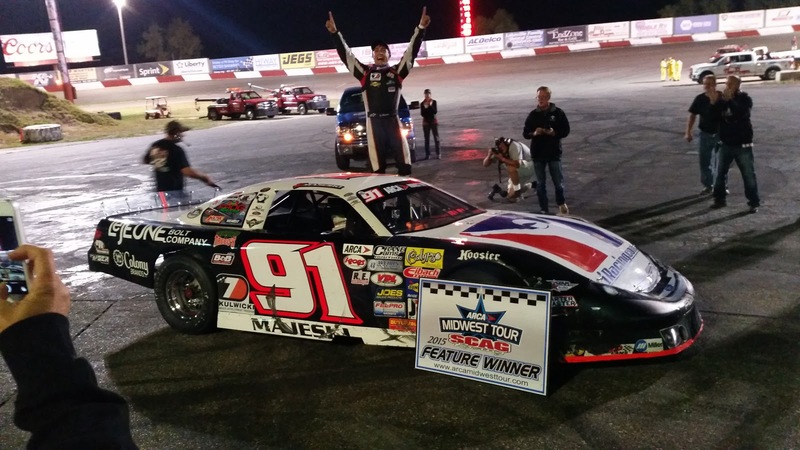 With one of the most improbable moves ever seen at Elko Speedway Ty Majeski from Seymore (WI) passed both Dan Fredrickson and Jacob Goede in the last three laps to win the 7th annual Thunderstruck93 ARCA Midwest tour race presented by NAPA Auto Parts. Dan Fredrickson won fast time in qualifying with a lap of 13.595 seconds, Fredrickson is a four time winner of this event, and a two time Midwest tour Champion. 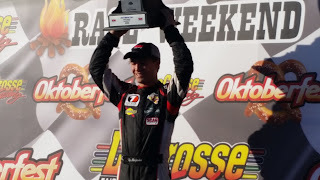 Jacob Goede is the 2009 winner of this event and he dominated racing at Elko Speedway this summer, scoring 10 wins in route to his second MN Corn Growers Super Late Model title. Front row starters Steve Apel and Matt Goede battled for the top spot early, but then a spin by Paul Paine brought out the caution at lap 20 of this 125 lap race. 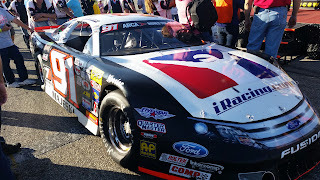 Majeski was involved in the accident and put to the back of the 26 car field. "I dug myself in a hole early, I had some contact with the 27 car (Paine), just one of those racing deals," said Majeski "I tried to methodically make my way up through the field and I tried not to use too much tire, I knew the two guys I had to beat were up front already." Dan Fredrickson and Jacob Goede were in the familiar position of racing each other for Thunderstruck glory. In the 2012 race these same two guys battled throughout and then had contact on the last lap with Fredrickson pulling out the victory. Fredrickson took the lead from his 10th starting spot just after the restart on lap 20, he and Goede then swapped the top spot numerous times with frequent side by side and close racing for the lead. 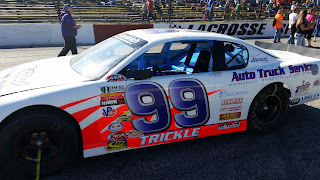 The traditional 10 minute break in the race is at lap 93, the number used by Dan Ryan, an Elko Speedway Hall of Fame member who died from A.L.S (Lou Gehrig's disease) in 2009 and who this race is a memorial for. 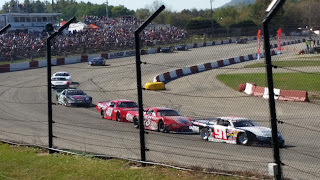 At the break and with 32 laps to go Dan Fredrickson was the leader with Jacob Goede second, Ty Majeski had made his way back up to fifth on the board. On the restart Goede shot to the lead and the battle with Fredrickson continued. 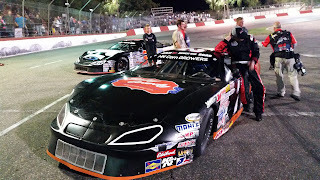 Meanwhile Majeski was ready to pounce "When I got into third they were at least a straightaway in front, I didn't know if I would have enough time to get them but they started battling, they got into lapped traffic and I was able to make some ground up and make the move for the win" said Majeski. 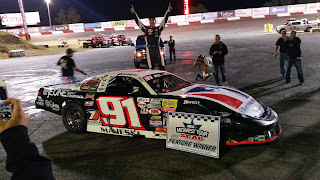 Fredrickson and Goede raced so hard for the lead that they both wore out their tires and that opened up the door for Majeski to make one of the most epic runs to the front ever seen at Elko Speedway. "I saw the top two were sliding each other up in the 3rd and 4th groove and I got underneath Fredrickson and cleared him and then got a good run on Goede, I got to the inside of him, trying to get at least even with him, I used him up a little bit in 3 and 4 and it was enough at the line" said Majeski. It was the closest finish in Thunderstruck93 history, Majeski beat Jacob Goede by only .054 seconds with Fredrickson a car length behind rounding out the podium trio. "I've wanted this guitar (trophy) for a while, I almost had it last year and really wanted it this year," said Majeski "I'm really thankful for the Ryan family, its really special to win on this night, it means a lot to me for sure." 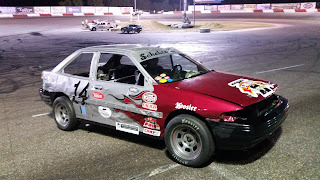 Chris Weinkauf had a consistent run finishing 4th with veteran racer Tim Sauter in 5th and Jonathan Eilen finished 6th even though he had a tire slowly going down. 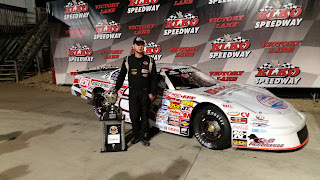 Austin Nason from Roscoe (IL) won the 68 lap BIG 8 Late Model series race at Thunderstruck93 he took the lead on lap 26 and held off numerous charges from Elko Speedway Hiway Federal Credit Union 12 time winner and BIG 8 Champion Chris Marek for the win. Michael Beamish finished third in this impressive 23 car field. 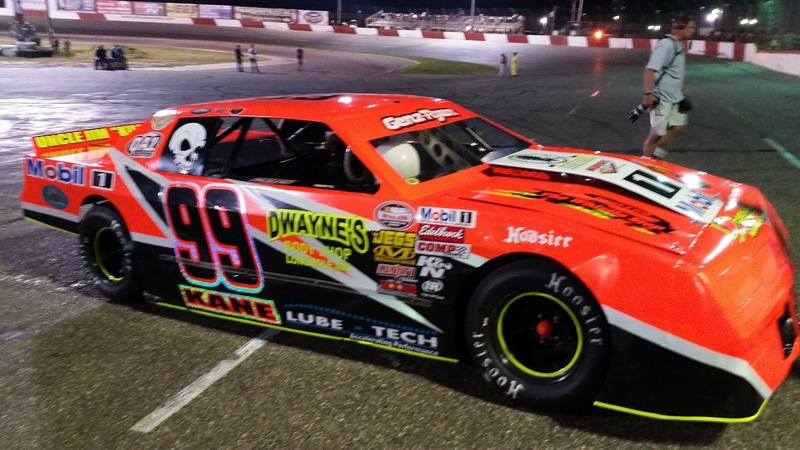 #99 Brent Kane from Lonsdale (MN) held off a great challenge by Jeremy Wolff to win his fourth Genz-Ryan Thunder Car title at Elko Speedway. 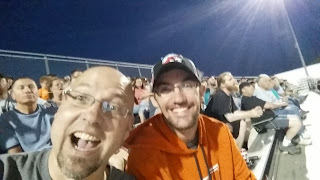 Both drivers won their heat races, Wolff won his heat in spectacular fashion, going three wide in the closing laps not once but twice bringing the large Thuunderstruck93 crowd to its feet. The two drivers started the feature side by side in the fifth row. Kane had a 9 point cushion so Wolff had to get to the front and hope that Kane had problems. Wolff did his part, weaving through traffic and passing cars left and right, but Devin Schmidt from Belle Plane (MN) ran away from the field, took a big lead, and won his second feature of the year by 1.978 seconds. Wolff finished second and Kane did the smart thing, held his position, finished 6th and won the Championship by 5 points. Kane was emotional in victory lane thanking his crew, sponsors and all the people who had helped him win 9 races in 2015. 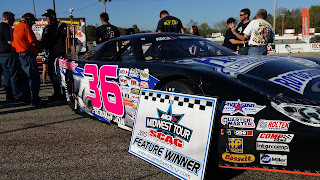 Eric Campbell finished third, Tina Davis fourth and Dillon Sellner fifth in points. 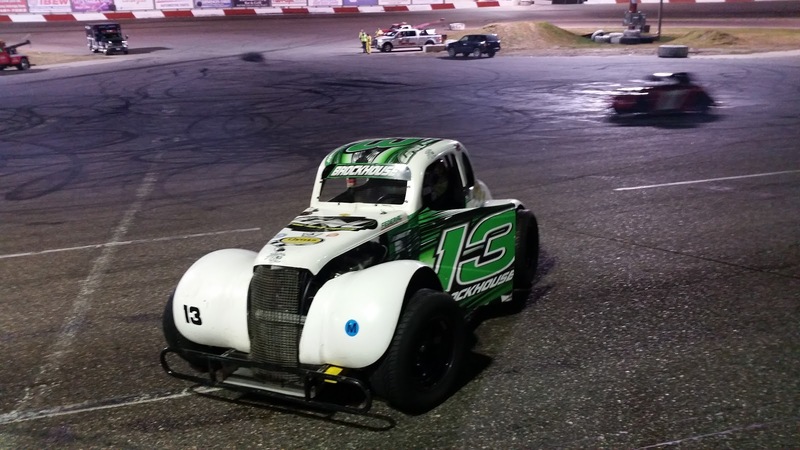 15 year old Grant Brown from Prior Lake (MN) won his first ever Pepsi Power Stock Championship at Elko Speedway. Brown finished the feature in second place and won the title by 56 points over Tom Doten with Taylor Goldman third, Brandon Peterson finishing fourth and Paul Hamilton fifth. The 20 lap and 22 car feature had a wild ending. Joey Prusak from Hopkins (MN) was declared the winner. Paul Hamilton led most of the race, he was caught by Brandon Peterson on the last lap and the two had contact through turns 3 and 4. Hamilton ended up with heavy damage and into the wall and Peterson was disqualified giving Prusak his first ever win at Elko Speedway. It has been a challenging season for Prusak who has struggled with mechanical problems and bad luck all year long, but his luck changed at the right time. 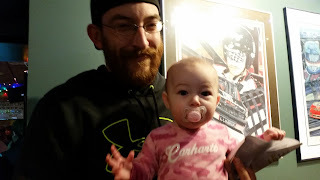 "I told my dad that I didn't care if I won a race all year long just as long as I win Thunderstruck93!" said Prusak. It was a big week for #14 Grant Brown who got a phone call from NASCAR telling him he was declared the National Champion in Division 4. "I didn't know until Friday, during my fourth hour biology I got the call from NASCAR that I had won." Grant and his crew will be honored by NASCAR as National Champions at the awards banquet in Charlotte (NC) this winter. Derek Lemke from Shakopee (MN) won his 4th Great North Legends feature of the year, he beat 16 year old Wil McCully by 2.044 seconds at the line, it was a career best finish for McCully. Shon Jacobsen finished third, Brady Fox-Rhode fourth and Jaycen Brockhouse fifth. With the win Lemke extended his lead to 25 points over Brockhouse in the race for the Championship. The Great North Legends will crown their Champion next Saturday night October 3rd at Elko Speedway. 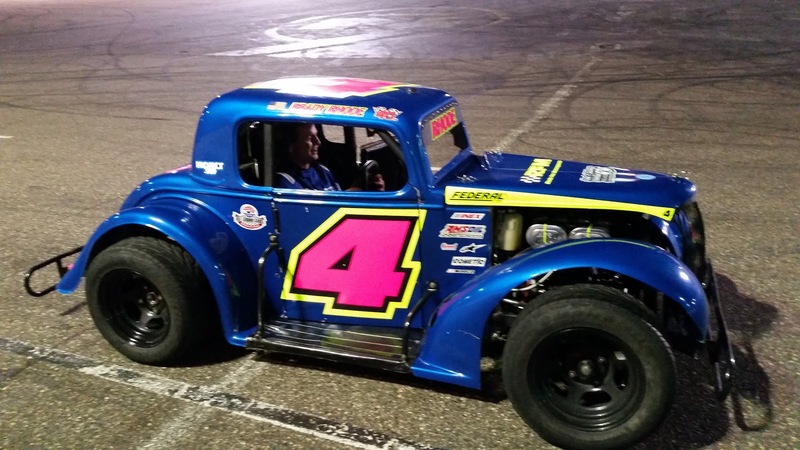 Matt Suhl from Richfield (MN) won his second Hornets feature of 2015. Suhl started up front and stayed there the entire 15 lap race. Alex Vincent gave Suhl a good run but Suhl ended up winning by .226 seconds with Craig Allers finishing third and Ashley Bell fourth. Justin Schelitzche finished the race in 7th but still has a sizeable lead in the race for the Hornets Championship. Schelitzche leads Ashley Bell by 49 points going into the final night of racing next Saturday October 3rd. Up next at Elko Speedway is the final race of the 2015 season and Eve of Destruction presented by Leo's South on Saturday October 3rd. Champions will be crowned in the Hornets, Great North Legends and Bandoleros divisions plus entertainment by the Green Mamba Jet car, Burn out contest, the world famous Figure 8 trailer race and much more. The evening will conclude with a huge Rock n Roll Fireworks show. Gates open at 5pm, action begins at 6pm. 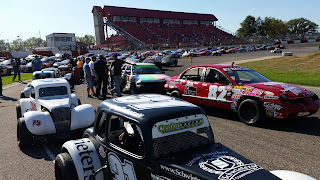 Elko Speedway is located 20 minutes South of the Twin Cities just off of I-35 and County Road 2, get more information by calling (952) 461-7223, go to www.elkospeedway.com or follow Elko Speedway on Facebook, Twitter and YouTube. 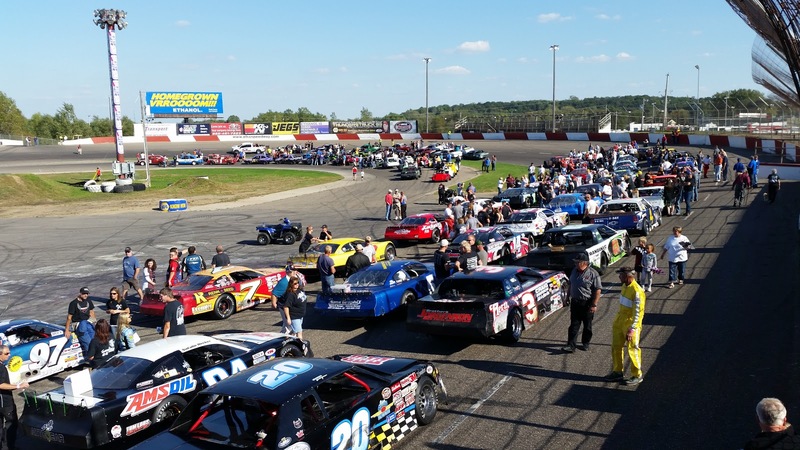 The seventh annual #Thunderstruck93 presented by NAPA event is bringing out an incredible list of short track racing stars to compete for the coveted guitar trophy in the 125 lap ARCA Midwest Tour race at Elko Speedway (MN) on Saturday September 26th. 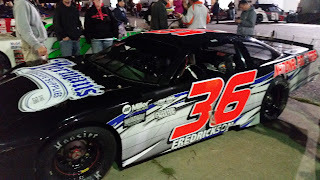 Topping the 31 car entry list is Four time winner of this event Danny Fredrickson from Lakeville (MN), he won a track Championship at Elko Speedway in 2003 and has been a Midwest tour Champion twice, in 2008 and 2013. Fredrickson has more wins than anyone in the history of the Midwest tour (14). 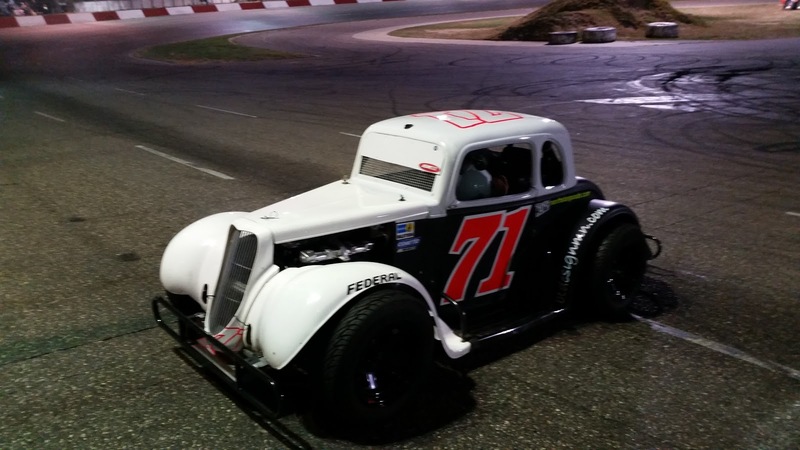 Keep your eye on two time defending Elko Speedway Champion Jacob Goede from Caver (MN). He won the inaugural #Thunderstruck93 event in 2009, the same year he was the Midwest tour Rookie of the Year. This year he dominated the MN Corn Growers Super Late Model racing at Elko Speedway with 10 wins and he set fast time in qualifying every race night the entire year. Matt Goede also had a great year, finishing second in points behind his brother Jacob, scoring 3 feature wins. 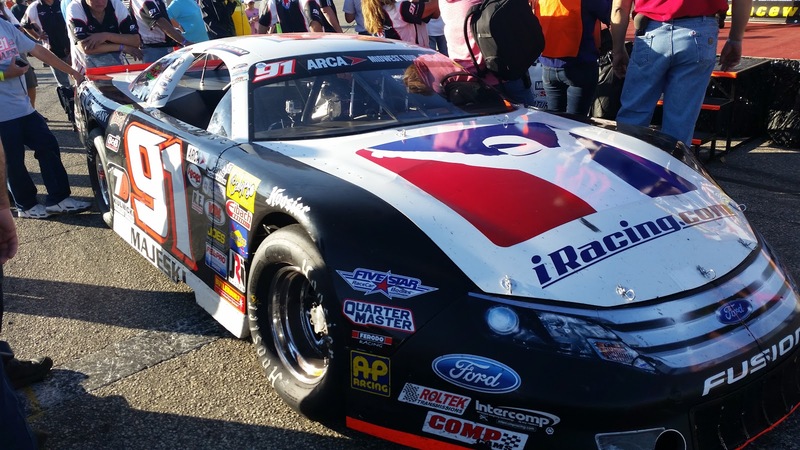 Ty Majeski from Seymore (WI) is one of the most talked about young drivers in the nation. 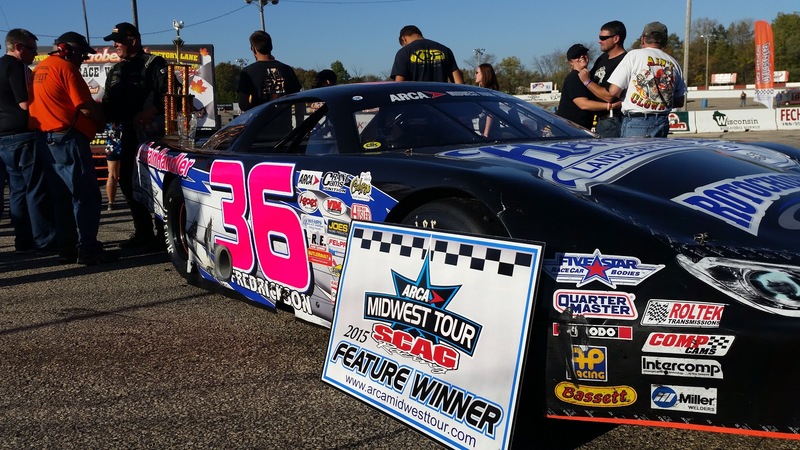 He is the the defending ARCA Midwest tour Champion and he leads in points again heading into this race, last year he almost won #Thunderstruck93, he finished runner up to Fredrickson by only .326 seconds after a furious battle for the top spot. 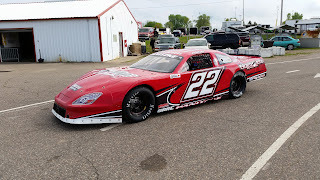 Skyler Holzhausen from Bangor (WI) has won at Elko Speedway before, on July 9th 2011 he won a 250 lap Midwest tour race edging Chris Wimmer, he then went on to win the Midwest tour Rookie of the year. He is currently second in ARCA Midwest tour points. 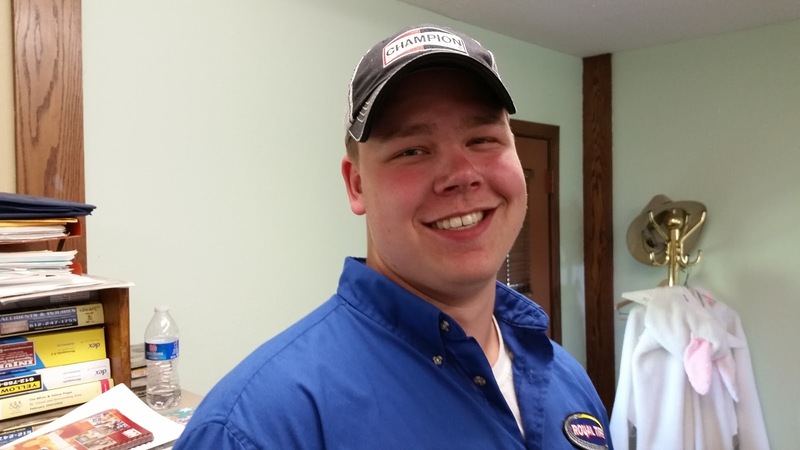 Andrew Morrissey from Deforest (WI) is entered in this event, he won the Midwest tour Championship in 2011 and he won #Thunderstruck93 in 2013. He won the Chicagoland Showdown earlier this year. 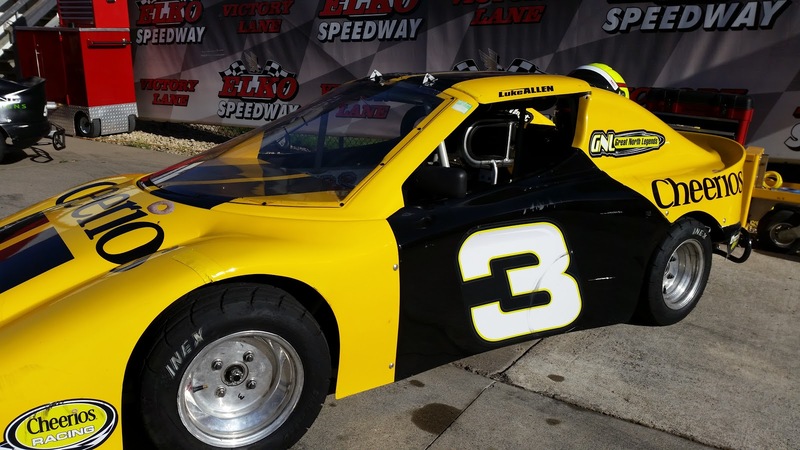 Three time Slinger (WI) Super Late Model Champion Steve Apel from West Bend (WI) will also be racing at #Thunderstruck93, he is a Kulwicki Driver Development racer and the Red White and Blue series Champion at WIR. This is his first trip to the Twin Cities to race. Another hometown hero is former Elko Speedway Thunder Car champion Jonathan Eilen from Hampton (MN) he won the first ever Midwest tour race, it took place at Elko Speedway on April 28th 2007, over 50 cars tried to qualify for the event and Eilen was the unlikely winner. He has been a regular on the tour ever since, even winning the Championship in 2012. Nick Murgic from Rosemount (MN) won the biggest race of his career just last month, he took home a $10,000 check by winning the Dixieland 250 at WIR, unfortunately he lost brakes and nearly totaled his car after taking the checkered flag. The 2008 Midwest tour Rookie of the year now has the car back in shape and looking to contend for the win, he finished third last year. 2013 TUNDRA Super Late Model Champion Nick Panitzke from Sauk Centre (MN) has rebounded from a health scare earlier this year, he scored a feature win at Elko Speedway on May 23rd. 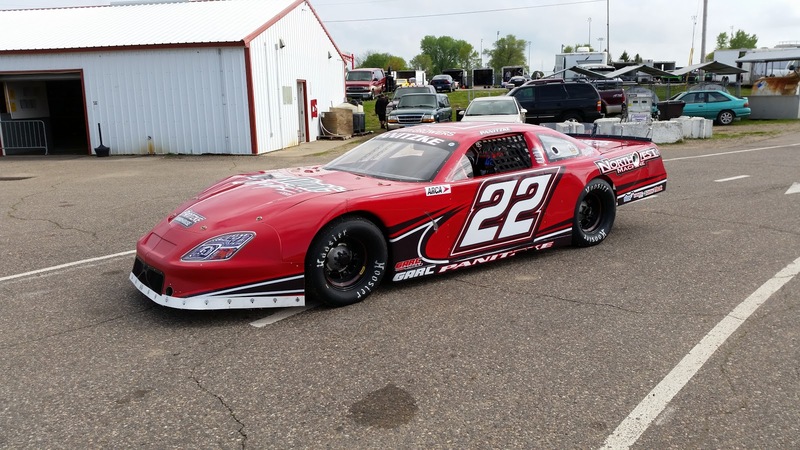 Natalie Decker from Eagle River (WI) is a member of the NASCAR Dive for Diversity program, she won a track championship in the Limited Late Model division at State Park Speedway in 2013, and she won a TUNDRA Super Late Model race at Golden Sands last year. #Thunderstruck93 is very pleased to see that a couple veteran super stars are entered in this race including driver Jamie Iverson from Escanaba (MI) he is a many time track champion at Norway (MI) Speedway and has 4 career wins in Midwest tour competition. Also Tim Sauter from Necedah (WI) who is a member of Wisconsin Racing Royalty, he is the brother of Johnny, son of Jim and father to Travis Sauter. 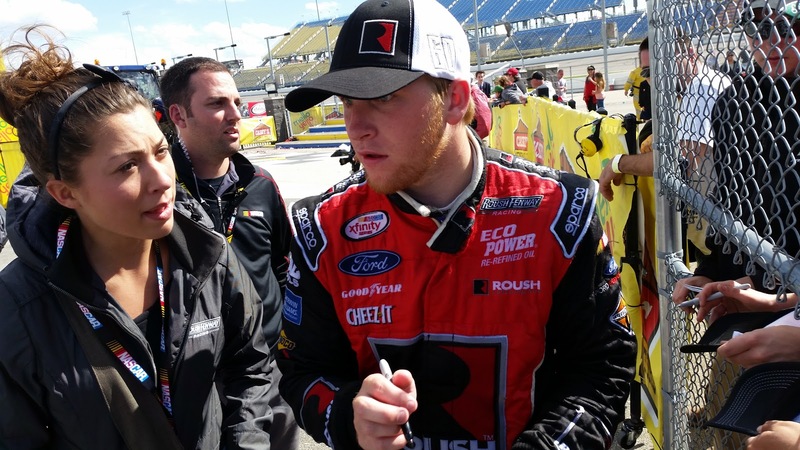 He was the 1999 ASA National Champion and he made over 100 starts in what is now called the NASCAR Xfinity series. Other drivers who have won at Elko Speedway this year that are entered into this race include: Billy Mohn from Lakeville (MN), Nick Barstad from Prior Lake (MN) and Paul Paine from Mound (MN). 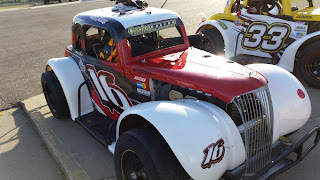 A full list of entrys can be found at www.arcamidwesttour.com and you never know what other stars will show up on race day, the weather forcast is perfect! 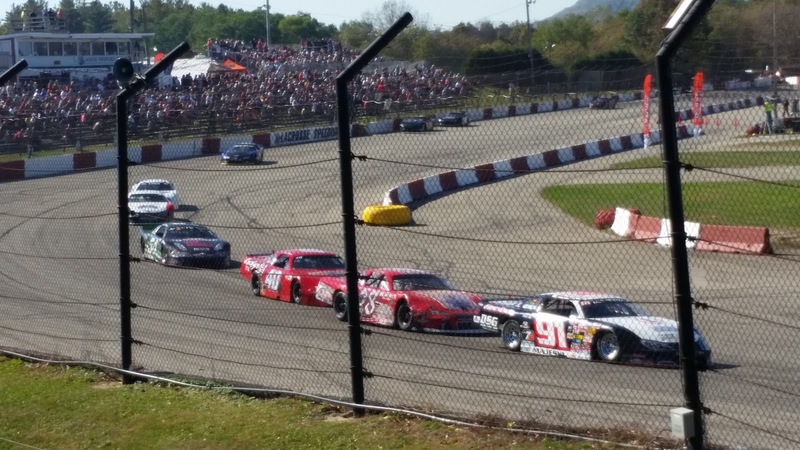 #Thunderstruck93 will take at Elko Speedway on Saturday September 26th beginning with an on-track driver autograph session at 3pm. Qualifying and heat races will begin at 4pm. The ARCA Midwest tour 125 lap finale will take place after a full day of racing including a 68 lap BIG 8 late model feature, also Champions will be crowned in the Genz-Ryan Thunder Car and Pepsi Power Stock divisions, plus racing in the Great North Legends and Hornets as well. The Pink Flamingo party will take place in Champions event center following the races, no camping is permitted. Elko Speedway is located 20 minutes South of the Twin Cities, just off of I-35 and County road 2. 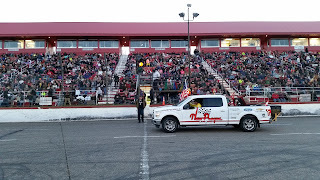 For more information follow Elko Speedway on Facebook, Twitter and YouTube, go to www.ElkoSpeedway.com or call (952) 461-7223. Jacob Goede from Carver (MN) capped off an incredible NASCAR Whelen All American season with his 10th feature win and second consecutive Championship in the MN Corn Growers Super Late Models at Elko Speedway. 2003 Champion Danny Fredrickson led most of the 40 lap main event until getting challenged for the top spot by Matt Goede with 15 laps remaining, after hard racing for ten laps Matt Goede finally took the lead from Fredrickson but contact in corner two sent Goede spinning and then both cars exited the track for the pits. That put 3rd place runner Jacob Goede to the lead and eventually the win by .725 seconds over Billy Mohn. 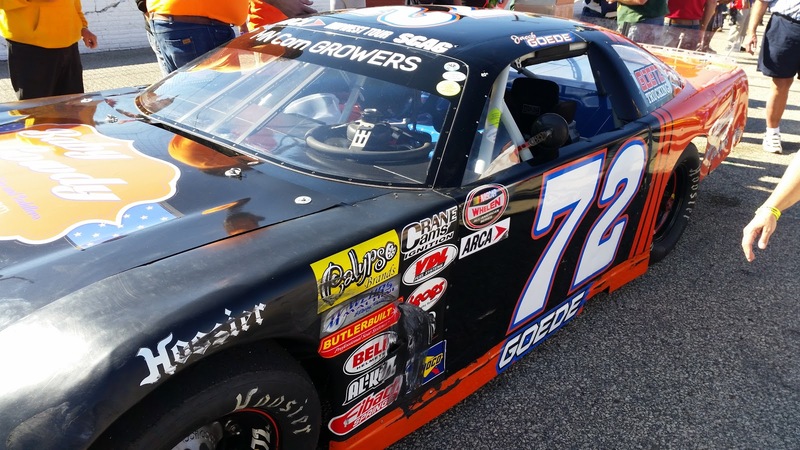 Jacob Goede won his second Elko Speedway point title by 108 points over his brother Matt Goede. "It's been a great year, an awesome year" said Jacob "it feels as good as last year, actually better, because the first one was like taking a big weight off my shoulders." 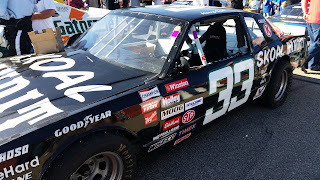 Goede said the key to his championship was having a fast car, he was the fastest of the 19 cars in qualifying with a time of 13.751, "what I'm most proud of is that we set fast-time in qualifying every night, all year, I don't think that has ever been done before," said Goede. Dylan Moore from Northfield was just one lap short of being the 10th different winner in the Hiway Federal Credit Union BIG 8 Division at Elko Speedway. 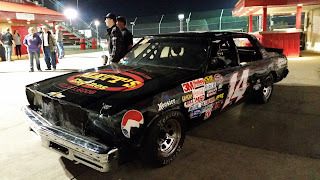 A last lap incident between Moore and Chris Marek resulted in Moore finishing in the pits and Marek scoring his worst finish of the year in 16th position. Michael Ostdiek from Lakeville (MN) took advantage of the top two dropping back to score his third win of 2015, he won by .250 seconds over Michael Beamish in the very competitive 18 car field. Even with the poor finish, Chris Marek won his third consecutive BIG 8 season Championship, he finished 71 points ahead of Ryan Kamish in the final standings and had a very impressive total of 12 feature wins in 2015. 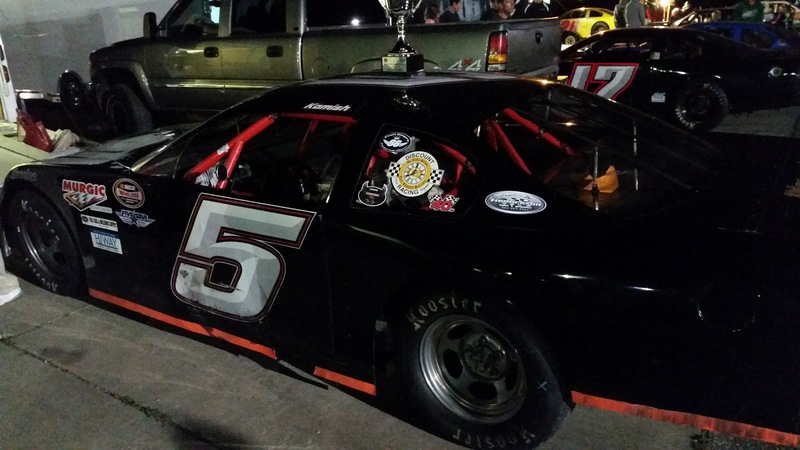 Conrad Jorgenson from Lakeville (MN) won his sixth Genz-Ryan Thunder Car main event this year at Elko Speedway. Jorgenson started up front and had a huge lead until Adam Wiebusch spun just before the white flag lap, after the restart Jorgenson slipped in some oil on the final corner but held off a hard charging Jeremy Wolff by a mere .027 seconds to score the win. It was the 107th career win for Conrad Jorgenson. Brent Kane started the 25 lap race in seventh in the nineteen car field, he moved up to third at the finish, right behind Jeremy Wolff, his closest competitor in the race for the title. Kane now leads Wolff by only 9 points going into the final points race in the Thunder Car division at #Thunderstruck93 next Saturday night. Dusty Mann from Farmington (MN) won his third Pepsi Power Stock feature of the year, he led this impressive 22 car field from start to finish. The twenty lap race went quickly with no cautions to slow the action. Tom Doten gave it all he had to finish second, he was .285 seconds behind Mann at the finish. Point leader and six time winner Grant Brown started tenth and could only work his way up to 6th at the finish, just ahead of four time winner Taylor Goldman. Brown won his heat race earlier in the night though and they helped him to increase his lead to 30 points over Tom Doten in the race for the 2015 Championship. The final point race for the Power Stocks will be Saturday night during #Thunderstruck93 at Elko Speedway. Jaycen Brockhouse was cruising to victory with a big lead in the Great North Legends main event until a caution with five laps remaining closed the gap and opened the door for Brady Fox Rhode to sneak past him and claim his 6th win of the season at Elko Speedway, doubling the win total of any of his rivals. Rhode won by a whisker, only .069 over Brockhouse at the finish line with Derek Lemke following close behind in third. Lemke now has a 25 point lead over Brockhouse in the race for the Championship, Fox-Rhode is a distant third after missing a race night earlier in the season to attend his grandparents 60th wedding anniversary. When asked if he regretted missing a race night and his chance for the point title Fox-Rhode said "family is the most important and it was a fun day" but he added that he might be a little bitter at the awards banquet. Defending Hornets Champion Brian Adams from Shakopee (MN) has had a season full of mechanical failures and bad luck driving three different cars, but that all changed on Saturday night with his first win of the year. "This was my Championship car from last year," said Adams "I got an offer last week to buy it back, I got it and I couldn't be any happier to have it back." Adams was a part of some great three wide action on his way to the front and then he battled with TJ Christensen for the lead at the end. "It's awesome, its been a really tough year, I've struggled all season long, its been an uphill battle and it just feels good to finally redeem myself with a win" said Adams. Nine different drivers have now gone to victory lane this season in the Hornets division at Elko Speedway. Justin Schelitzche started 11th and moved up to finish fourth, he now has a 52 point lead over Ashley Bell in the race for the Championship. Luke Allen from Chanhassen (MN) won the Bandoleros main event, he and Owin Giles now both have six feature wins on the season. Giles has a 21 point lead over Allen in the point standings. The Great North Legends, Bandoleros and Hornets will all decide their Champions during Eve of Destruction October 3rd at Elko Speedway. Thunderstruck93 on Saturday September 26th will feature racing in the ARCA Midwest tour Super Late Model series, the BIG 8 series, the Thunder Cars and Power Stocks will both crown their Champions and also racing in the Great North Legends and Hornets divisions. Gates will open at 3pm with an immediate on-track autograph session, followed by qualifying beginning at 4pm with feature races in all divisions to follow. The famous Pink Flamingo party will take place immediately following the races in Champions event center. 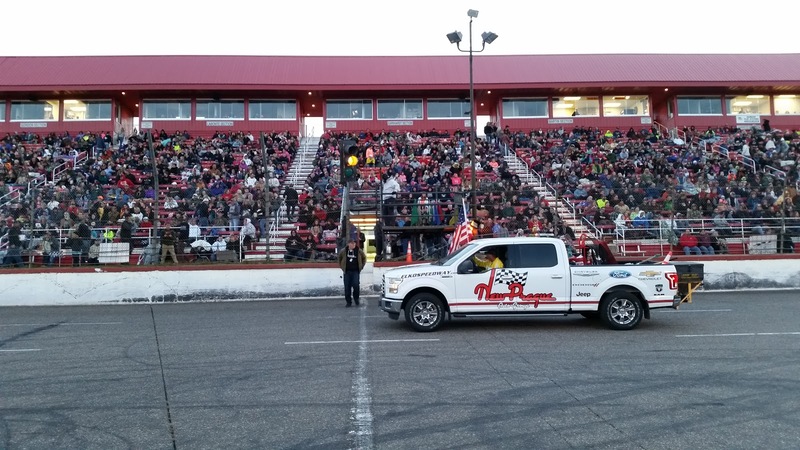 Elko Speedway is located 20 minutes South of the Twin Cities just off of I-35 and County Road 2 in Elko (MN). Get more information by following Elko Speedway on Facebook, Twitter and YouTube or go to www.ElkoSpeedway.com or phone (952) 461-7223. Wings Financial Credit Union presented an Eve of Destruction with racing in the NASCAR Whelen All American series at Elko Speedway. 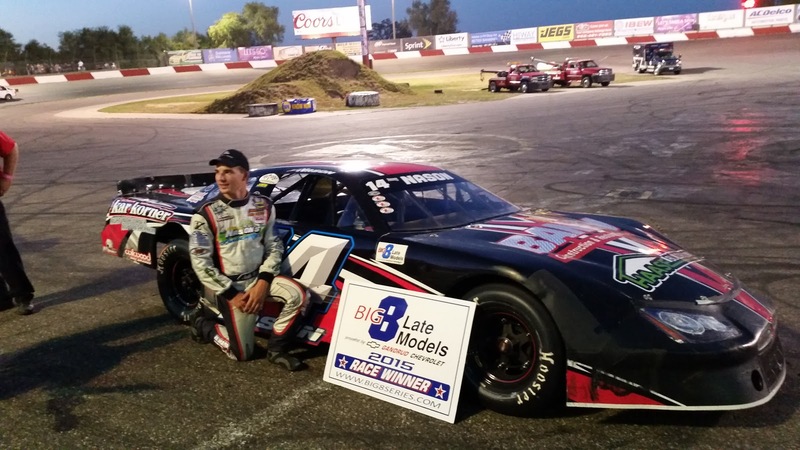 Billy Mohn from Lakeville (MN) won his second MN Corn Growers Super Late Model feature of the year in race number one. He took the lead early in the 30 lap event and extended it to a full straight-away lead by mid-race when Derek Lemke and Joey Garofalo battled side by side for second place. It took quite some time but defending Champion Jacob Goede moved up from his 8th starting spot to the runner up position by the end of the race, Goede finished 2.139 seconds behind Mohn. Danny Fredrickson started the feature 13th, he passed a lot of cars on his way to finishing third. 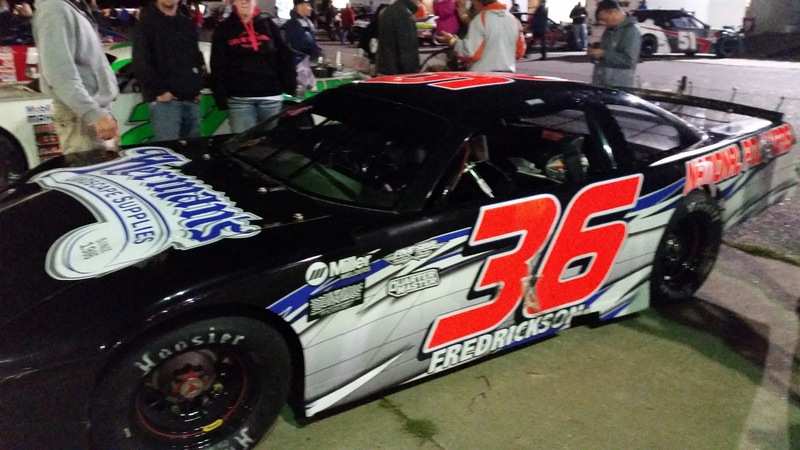 Danny Fredrickson from Lakeville (MN) took home his first Elko Speedway trophy of 2015 in the second MN Corn Growers Super Late Model feature, he became the 9th different winner in this division this season. Fredrickson grabbed the lead early and never looked back in this cautionless race. Current point leader Jacob Goede battled with Paul Paine for many laps but eventually moved up from his 8th starting position to finish 2nd with Paine coming home third in this strong field of 17 cars. With his two runner up finishes, Jacob Goede from Carver (MN) extended his lead to 92 points in the race for the Championship. Since there is only one more points earning night at Elko Speedway and the maximum number of points a driver can accumulate in one NASCAR night is 81, Jacob Goede has clinched his second consecutive title in the Super Late Model division. Chris Marek from Lakeville (MN) won the first Hiway Federal Credit Union feature on Saturday night to score his 12th win of the season. Veteran driver Jon Lemke put the pressure on Marek and finished only .597 seconds behind in this tough 13 car field. Ryan Kamish from Farmington (MN) won the second feature of the night and became the 9th different BIG 8 winner of the year at Elko Speedway. 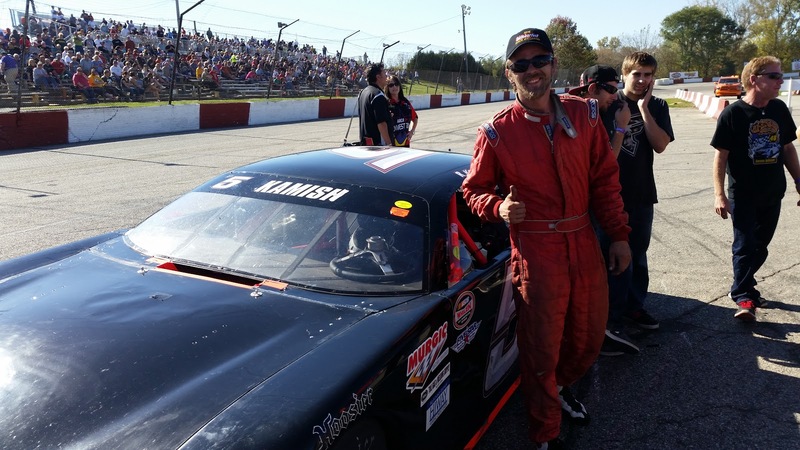 "It was a good night, the car felt really good," said Kamish "I got out there and just broke to my lead and didn't look back." Cole Anderson led the first portion of the 20 lap race but Kamish was out front before the half-way point and held on for the win by .541 seconds over Nick Beaver who finished 2nd. 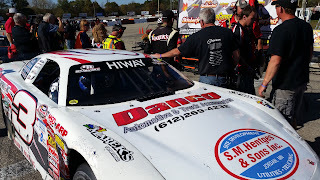 Defending Champion Chris Marek spun with 6 laps remaining and then fought back to finish 9th. Marek now has an 81 point lead, which is the exact amount necessary to clinch a tie, and since he hold the tie-breaker, Marek will win his 3rd consecutive Championship in the BIG 8 division. Three time Champion Conrad Jorgenson from Lakeville (MN) won the first Genz-Ryan Thunder Car main event of the night. Michael Gilomen led the first six laps but then Jorgenson moved up from his 6th starting position to grab the lead and never let go. Jorgenson beat Brent Kane to the finish by .906 seconds in this impressive 19 car field of Thunder Cars. Brent Kane from Lonsdale (MN) did it one spot better in the second feature and won for the 9th time this season. Kane passed the early leader Devin Schmidt on lap 11 and fought him right to the end, winning by only .153 seconds. 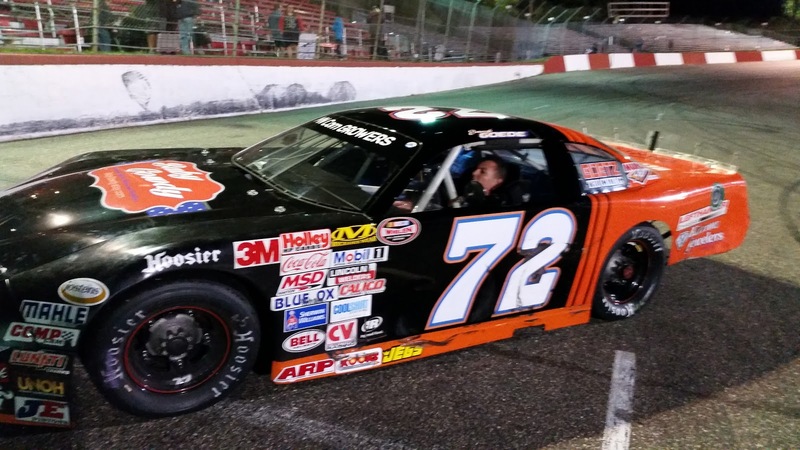 Seven different drivers have gone to victory lane this season at Elko Speedway in the Thunder Car division. With his two good finishes Kane retook the point lead from Jeremy Wolff, Kane now leads by 7 points in the race for his 4th Championship at Elko Speedway. Brent Kane is also leading in NASCAR Home tracks points, he is currently the top point getter in the Nation in division 3. The Pepsi Power Stock main event was a quick one, the sixteen car and 20 lap cautionless race took only 5 minutes and 48 seconds to run and Taylor Goldman from Minnetonka (MN) was the quickest of them all. Goldman started up front and won for the fourth time this year, she beat Paul Neisus by 2.257 seconds at the stripe. Eight different drivers have won features this year in the Power Stock division. 15 year old Grant Brown finished 5th and holds onto the point lead. Brown is the leader with Tom Doten in second and Taylor Goldman third. 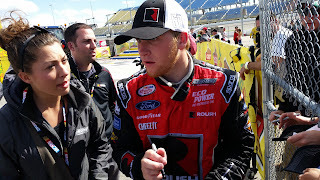 Brown is also the National NASCAR Home tracks point leader in division 4. 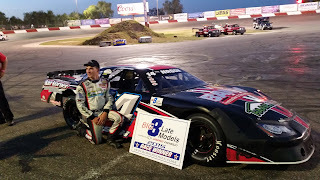 Tim Brockhouse from Webster (MN) won his first of the year at Elko Speedway and his 133rd career feature in the Great North Legends main event. Shon Jacobsen and Dirk Henry swapped the lead early in the 20 lap race, Brockhouse came up from his 5th starting position to claim the lead with 8 laps remaining, he then had to hold off a hard charging Brady Fox-Rhode and Derek Lemke to win by only .205 seconds with 3rd place just .006 behind the runner-up in this 19 car field. Six different drivers have now won Legends features is year at Elko Speedway. 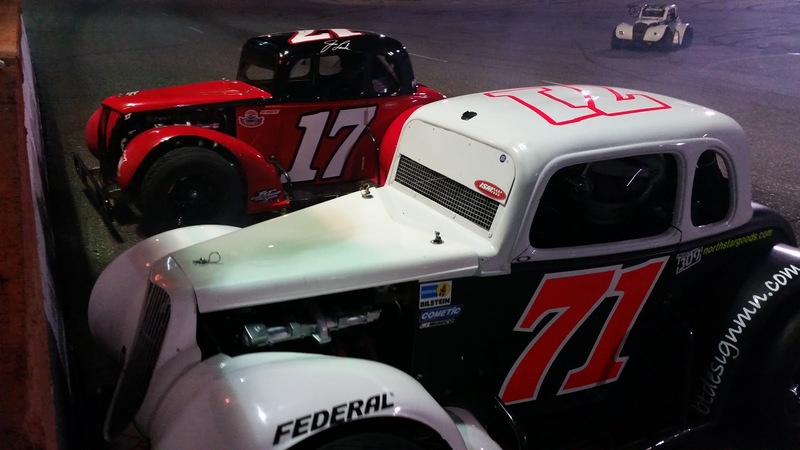 Derek Lemke now holds a 26 point lead in the race for his second Great North Legends Championship at Elko Speedway. 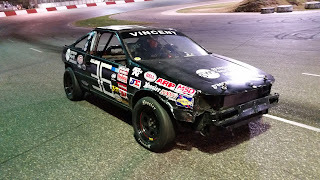 The Hornets main event became a battle of attrition as many of the top competitors were involved in incidents that prevented them from finishing, 19 cars started the race but only 10 finished on the lead lap. Luke Geisler led the early portion of the race, then Ridge Oien took his turn up front, those two wrecked with five laps remaining in the feature. 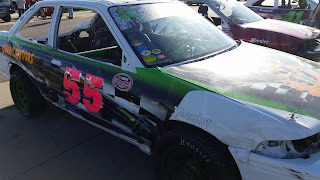 Then the race to the finish really heated up with Michael Wachs Jr and Ashley Bell both crashed into the wall in corner number three on the last lap handing the win to #55 Brandon Plekkenpol from Shakopee (MN), it was his first win of the season. He is the 8th different driver to win a Hornets race at Elko Speedway this year. Justin Schelitzche finished second and padded his point lead, he now has a 50 point advantage over Ashley Bell in the race for the point title. Zach Lovera from Prior Lake (MN) won the Spectator Drags portion of the race program in a 1994 Chevy Camaro Z28. 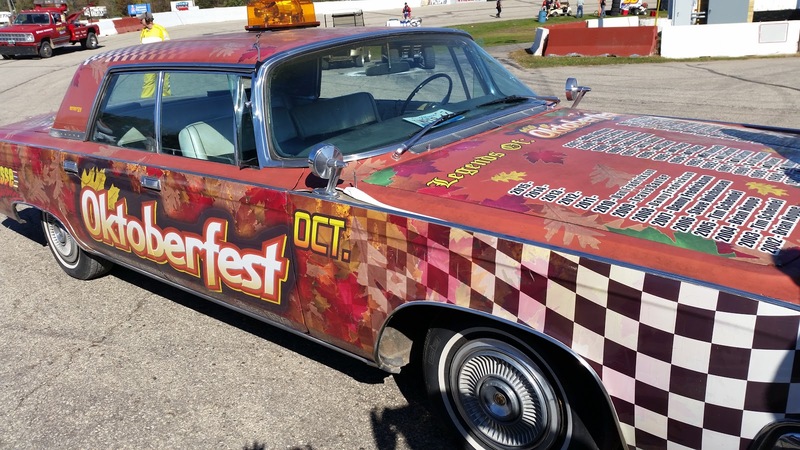 Stu Berg from Bloomington (MN) won the Outlaw Drags in a 1996 Chevy Monte Carlo. 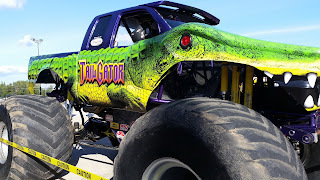 Thunder 4x4 and Tailgator Monster Trucks both entertained the huge Eve of Destruction crowd and Freestyle Motocross stunts were performed by JJ Romans and Eric Farr including the ever popular back flip. The Timberworks Lumberjacks also showed off their skills before the races and during intermission. 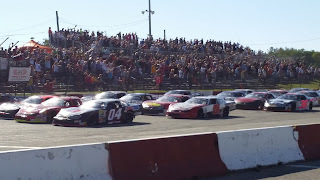 Up Next at Elko Speedway will be the Championship night for both the Super Late Models and BIG 8 divisions on Saturday September 19th, gates open at 5pm with action beginning at 6pm. The Power Stocks and Thunder Cars will crown their Champions on September 26th during the annual #Thunderstruck93 event to benefit ALS and the Championship night for the Great North Legends, Hornets and Bandoleros will be during the final Eve of Destruction on October 3rd.